On Saturday May 15, 2010 Hicham Aboutaam and Phoenix Ancient Art will be participating in the third annual Madison Avenue Gallery Walk. 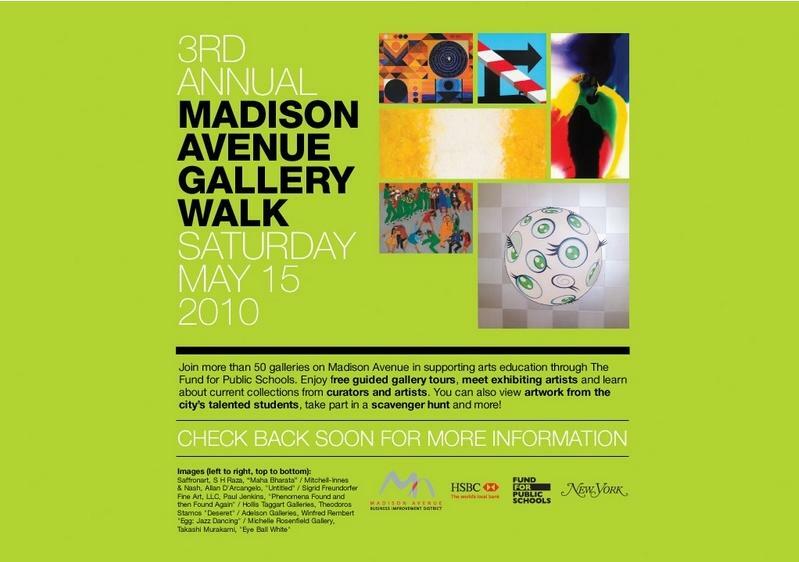 The Gallery Walk features 50 galleries on Madison Avenue and supports arts education via the Fund for Public Schools. Free tours will be led by the faculty members of New York City public schools through the world renowned galleries of Madison Avenue. Beginning at 11am tours will commence each hour from the Event Information Centers which will be set up in the Fuller Building-Vornado Realty Trust and in the Arader Galleries.A? The final tour will begin at 4pm. The galleries, including Phoenix Ancient Art, are all found on a one-mile stretch of Madison Avenue, between 57th Street and 83rdth Street on the East Side of Manhattan. Some of the galleries are located on the side streets, but not more than half a block from Madison. Monies raised by the Gallery Walk will be used to help The Fund for Public Schools so that it can support arts education in New York City public schools. There will also be a scavenger hunt all day. The hunt is family oriented and the winners will receive a 2 for one admission to the Whitney Museum of American Art. Guides and more information for the scavenger hunt will be available at either of the information centers. Phoenix Ancient Art, as well as many of the other galleries on the walk, will be offering talks and discussions throughout the day.